According to the press release, you can customize your characters in numerous ways. This includes skin tone, hair color, eyes color, pronoun and more. As you begin your new job at the Funplex arcade, your choices matter. From your personality and relationships to your crisis management and many other decisions, they will affect the future of the arcade. You can build your relationships with seven romanceable characters who are all fully voice acted. You can build all types of relationships, from friendship to something a little more. You’ll also get to enjoy the beats of the synthwave soundtrack during your time at the Funplex arcade. 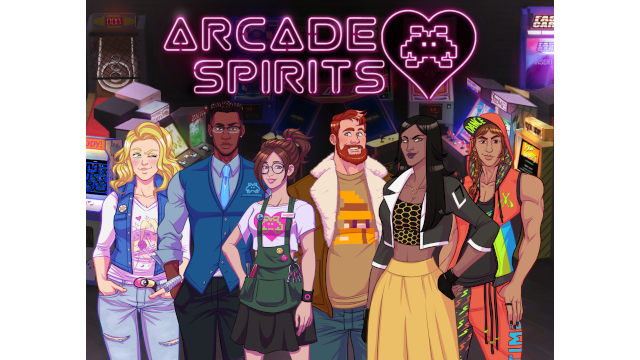 You can find out more about Arcade Spirits at the official website, and on its Steam store page. Will you find the romance you’re looking for at the Funplex arcade?